Nearly three decades ago a headless and handless body was found in undergrowth in Bolney. His murder is still a mystery. The body was found rolled up in some carpet by a passer-by in Broxmead Lane on October 11, 1991. But despite an exhaustive investigation at the time, the ‘Bolney Torso’ has never been identified and nobody has ever been brought to justice. Speaking after the 27th anniversary of the gruesome find, a Sussex Police spokesman said the case has been ‘exhaustively investigated over many years’. In the years since, there have been wide ranging theories from a gangland slaying to involvement with a German fraudster, but there remains no definitive answer to how the unidentified victim met his death. What happened 27 years ago? The body was discovered by a man on his way home to Burgess Hill from Cuckfield, who stopped for a break. Speaking on the 20th anniversary of his find in 2011, the man said: “I don’t think they ever will find who did it. “The body was rolled up in a bit of carpet, but that’s never been mentioned to the press. “There must have been some DNA on there from whoever carried it there. “I was just coming back from visiting someone at Cuckfield, and stopped for a ‘tiddle’. The man – who asked to remain anonymous – went to Burgess Hill police station and reported what he had seen. Who was the victim? What do we know? Sussex Police said it was known at the time that the victim was a white male who had a small distinguishing star shaped mole on his right thigh, and had a protruding belly. A second examination of the remains revealed he was aged between 30 and 40, probably in his mid-to-late 30s. Police say he was likely between 5ft 6ins and 5ft 8ins tall and was strongly built on his upper body. Despite these details police were unable to identify who the ‘Bolney Torso’ was. Because of the murder investigation the body was not buried for more than two years. In August 1994 the victim was laid to rest in Haywards Heath Cemetery in a brief service by Rev Alex Maclean. Due to developments in forensic science, the skeletal remains were exhumed from Haywards Heath Cemetery in March 2009. More than 17 years after the ‘Bolney Torso’ was found, police enquiries took on a renewed vigour. One of the victim’s femur bones was removed for further analysis along with samples of rib bone and toenails, according to police. Expert tests revealed the victim was likely to have come from an area of Europe encompassing southern Germany or countries nearby. Analysis of the toenails suggested that he had spent the last year or so of his life in the UK or on the border between France and Germany. Gangland killing, German fraud – why was this man killed? Detective Chief Inspector Peter Kennett led the initial inquiry into the murder, but retired with the case unsolved some years later. Over the years there have been a number of unproven theories, including that this was a gangland killing because of the mutilation of the body. A Sussex Police spokesman said: “Several theories have been put forward but we have not established which if any of them is the real one. “One of the theories, previously widely publicised, is that there is some connection between this death and a German fraudsman understood to have been living at the address in Haywards Heath at the time. The police spokesman said: “Progress is often slow on cases such as this but in 2010 and 2011, information we have gathered led us to believe that the man was dressed after death in the shirt and trousers in which he was found, and that those clothes belonged to someone else. “We focused our enquiries in southern Germany and worked with police colleagues in that area. “The finding about the change of clothing resulted from a DNA analysis, although the findings are not currently sufficient to separate two DNAs for identification. “We also re-interviewed witnesses over 2011-12, again prompted by the results of the exhumation. “Our main line of enquiry has been to continue to seek the identification of the victim and we maintain an open mind about how his death came about. October 2018: what are police doing now? The murder inquiry remains open and unsolved, police confirmed. Their spokesman said: “We are ready to follow up any new lines of enquiry. We are committed to identifying the victim, establishing what happened to him and bringing the offenders to justice if at all possible. Members of the public with any information that may assist police are still asked to come forward. 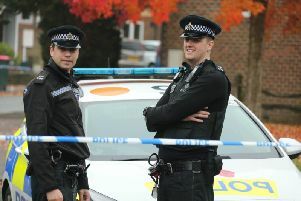 They can contact Sussex Police online at www.sussex.police.uk/appealresponse or call 101 quoting Operation Curzon. Alternatively you can contact the independent charity Crimestoppers (www.crimestoppers-uk.org) anonymously on 0800 555 111.